Did you know tree and plant roots can damage your drains? Roots are always attracted to a water source. They infiltrate your pipes to reach the water, causing blocked or damaged drains. Each situation is unique and requires expert help to prevent roots from growing back while attempting to avoid further damage to your drains. How Do Roots Block Drains? Many older homes have sewer pipes made of clay or material that isn’t completely sealed. Over time, the pipes develop cracks, and roots move in searching for water. They grow larger within the pipe, and fan out into a root mass, creating worse cracks. It’s important to remove them as soon as possible to avoid bigger issues with your sewer line. After roots infilitrate a sewer line and grow, they may eventually cause a pipe to collapse. Roots block drains which can lead to bigger and much more expensive issues to fix. How Do I Remove Roots from Drains? There are several methods to clear root blocked drains. One popular option for homeowners is introducing chemical products into your drain, however this can do more harm than good. Chemicals generally do not remove roots. They work for preventing growth in the short term, but normally, once you have roots in the line, manual removal is needed to clear the pipe. Otherwise, you may just be “burning up” the bottom 1/4th of the pipe (as that’s where the flow line would be) and not really getting rid of any substantial roots at all. At Clear Drain Cleaning, we prefer to use hydro jetting to clear your drains. A hydro jetter is a specialist piece of equipment that blasts high pressure water through pipes. It not only removes roots, but cleans out sludge and build up from your drains. How Do I Know My Drains Are Clear? Many professional drain cleaners provide camera inspection as part of their service. 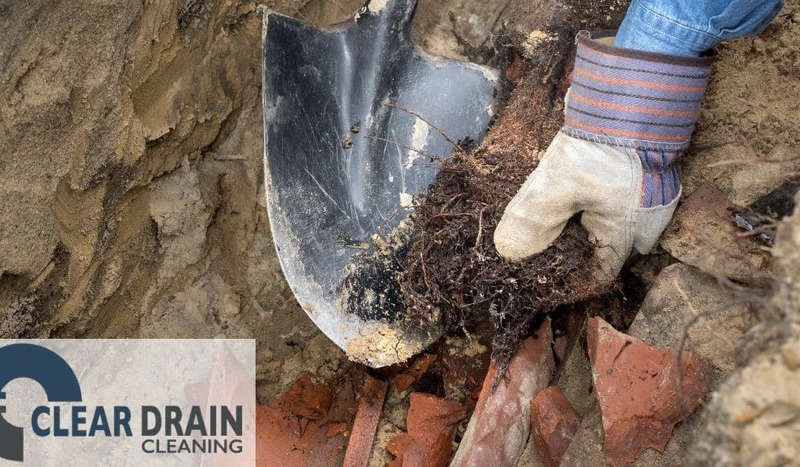 At Clear Drain Cleaning, we televise your line to ensure all of the roots have been removed. You can rest at ease as you view our work. At the same time, we have confidence we did the job right. If you believe your drains are blocked by tree roots, we can come to inspect your line. Using our safe and reliable hydro jetting method, we will clear your drain of all debris. Clear Drain Cleaning is a local owned company that specializes in residential and commercial drain, sewer and septic services such as electric drain cleaning and hydro jetting. Our tools and methods are safe, reliable and fast. We’ll have your drains, sewage and septic systems clear and running smoothly in no time! We proudly serve Holmes County, Wayne County, Tuscarawas County, Coshocton County, Stark County, Ashland County and Carroll County. Contact us today and Like Us on Facebook!